The likelihood is strong that parts of books would be omitted by the hackish use of utilities to extract browser viewable html from mobi files. While the head/tail procedure could be refined to produce better results, and there may be conversion programs available already, I’m heavily inclined to forego such an approach, and just use the Kindle viewer. Currently, that means I’ll be using Windows in combination with the PC ebook reader software that Amazon provides on their website, or a hand held ebook reader such as Kindle Fire. I must say that the Kindle PC emulated-reader software is nice, and lets you adjust the screen to effect the look of various Amazon book-reader models. Apparently, Lucidor uses Xulrunner (a browser oriented system) on the back-end, in order to perform markup language parsing. Due to a need to parse markup, most native environments that historically would have been useful to produce dedicated ebook software turn out to be not particularly well suited to the task. In terms of free and open-source software I believe the best reader is simply a browser outfitted with an appropriate extension. Otherwise, one should just buy a handheld reader. Microsoft always has a horse in the race, but not always one that’s winning, placing, or showing. I’m not a Microsoft hater. In some ways, they are all that remains in the world of entrepreneurial software. But the Microsoft entry in the ebook race seems far behind. The typical way to read Microsoft “lit” ebook files is to purchase a Microsoft handheld ebook reader, or to use an MS Word add-on product and its associated reader applet. The last time I used the MS Word add-on ebook package, it was being distributed for free. I found it worked well to create MS “lit” formatted ebooks. 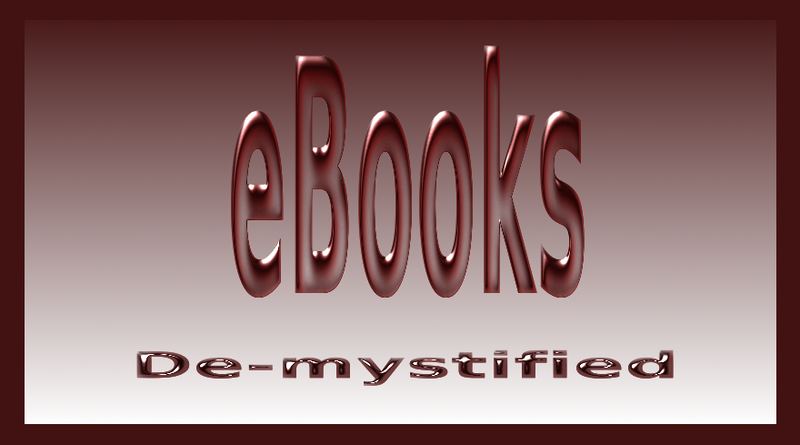 The affiliated PC based “lit” ebook reader was at one time available from Microsoft, for free. As I recall, it worked very well. Interestingly, Amazon provides a Linux utility for creating “.mobi” (Kindle) books, but not for reading them. Thus – denizens of free software and free operating systems may be more likely to purchase mobile devices for reading Amazon’s books. Some cell phones have ebook reader applets built into them.